Custom home design is not just for larger homes. 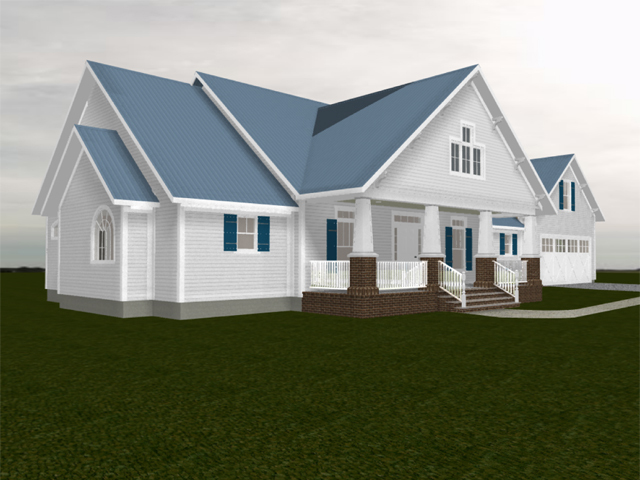 In fact, if you do not have a lot of money to invest in a house, or simply do not need or want a larger home, it makes even more sense to develop a custom home design. The cost of designing is generally more than offset by the savings derived from a design specific to your needs, sense one is not paying for what one does not need that is apart of some stock plan. A new home is a big investment, why not get it just the way you want it? That is why it pays to start with a good designer. Give Karl a call. He would be happy to come to your Aiken location and show you this plan and others, or discuss your own ideas for a new custom home.